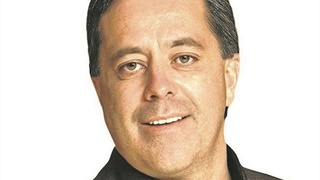 The former CEO of Steinhoff, Markus Jooste, arrived at Parliament on Wednesday morning - looking much greyer than in December, when he was last seen in public. He will testify in Parliament this morning about his role in one of the biggest corporate crises to have hit South Africa. Last week an agreement was reached between lawyers for Jooste and Parliament for him to appear, after a subpoena was issued to him. Jooste will appear before a joint meeting of Parliament’s standing committee on finance, standing committee on public accounts and portfolio committee on public service & administration. Jooste has not spoken in public since he resigned as CEO in early December. 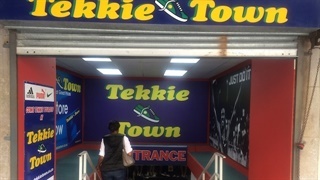 Jooste arrived shortly after 08:30 where he was seen going to the office of the parliamentary secretary. He is believed to be struggling with a cold. Journalists were crammed into the committee room where Jooste is expected to testify. DA MP David Maynier, shadow minister of finance, was first to arrive for the committee meeting, scheduled to start at 10:00. Looking forward to grilling Markus Jooste tomorrow in the @ParliamentofRSA! Proceedings kick-started in earnest after Yunis Carrim, the committee's chairperson reiterated that Jooste speak the truth. Some members of parliament lost their patience with Jooste and asked that he not tell the parliamentary committee what they already know from what he's said before. Jooste maintains that he did apologise for the "mistake". But some MPs like the Economic Freedom Fighters' Floyd Shivambu hold that Jooste's shifting the blame. Millions of investors in pension funds – including 1.6 million civil servants - have lost money as Steinhoff’s share price slumped 96% since December 2017. His former colleague, Ben la Grange (who was head of finance at Steinhoff), last week testified in Parliament that Jooste “influenced” a number of Steinhoff transactions, which contributed to the accounting irregularities at the company. He may also have benefited personally from these transactions. Jooste also maintained that he'd also lost a considerable amount of money in Steinhoff's share price collapse. #Steinhoff Jooste: I have a family investment trust who had 68 million Steinhoff shares.